Grass Valley Firefighters assigned to OES Engine 334 as part of OES Strike Team 4806A left at 0300 on July 26th to the Carr Fire in Shasta. On the second day of deployment to the line, Grass Valley OES 334 was assigned to mop up and patrol around structures impacted by the fire. While conducting their mission, the Grass Valley crews came upon an unlikely pair of animals impacted by the fire. 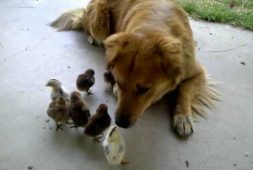 In the doorway of a home, they found a cat and a chicken huddled together for safety and support. 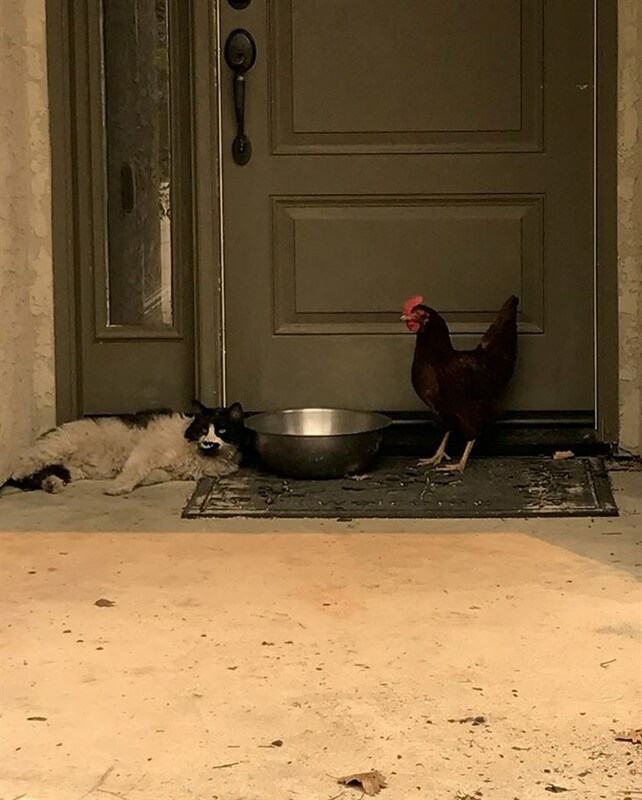 The animals had survived one of the most destructive fires in memory finding comfort in each other in the doorway of a home. The cat and the chicken each had burns that would require treatment. 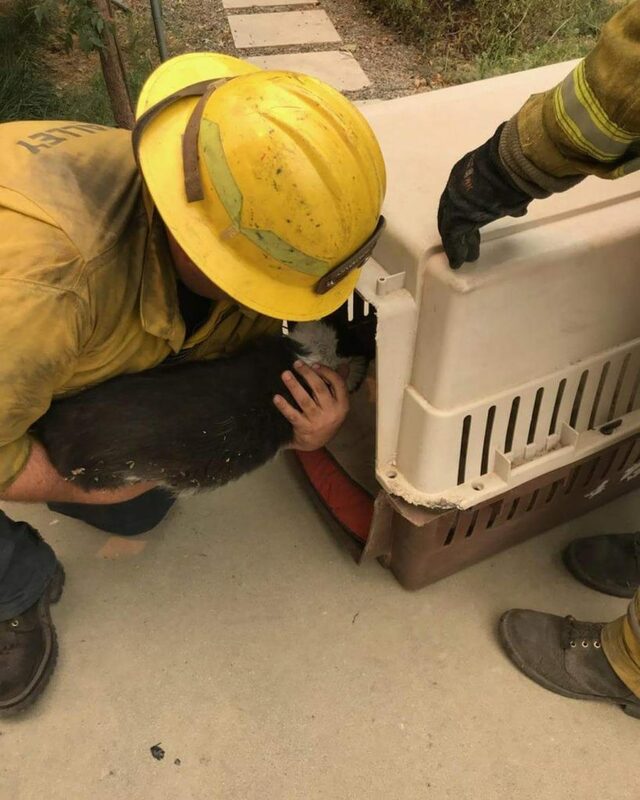 Grass Valley firefighters found a dish and provided the two newfound friends with fresh water as other firefighters searched for a way to contain the pair for the SPCA; they were able to find an animal carrier. 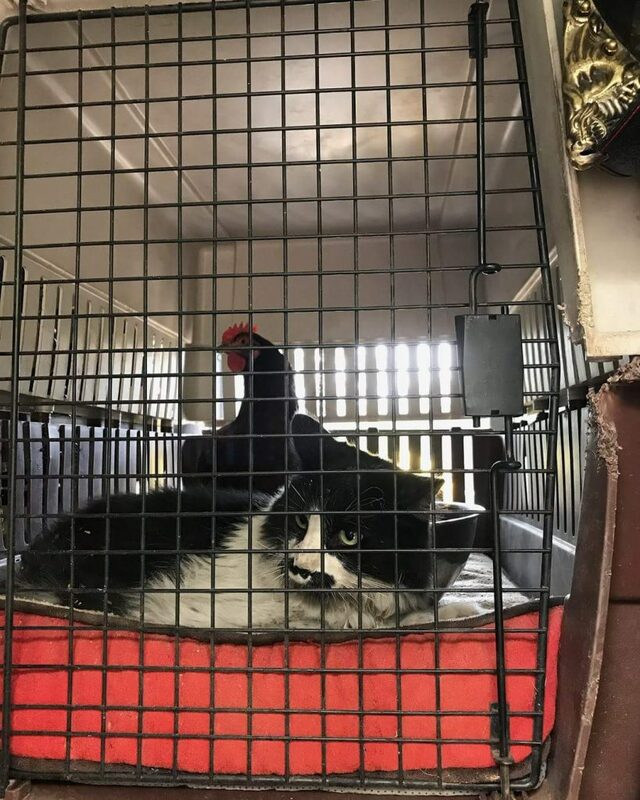 After some reassurance, Grass Valley firefighters managed to coax the cat and chicken into the carrier where they would be together and safe as they awaited pickup by the SPCA for treatment. 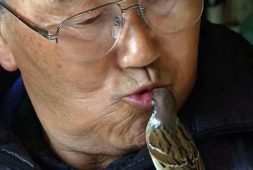 The firefighters checked on the pair a day later, both the cat and chicken are expected to make full recoveries from their injuries. 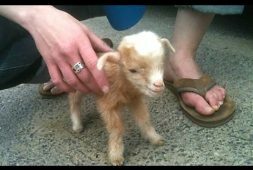 These are the cutest friends EVVVEEEERRR!